ProstaPlast Review (UPDATED 2019): Don't Buy Before You Read This! 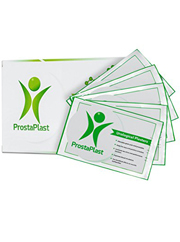 ProstaPlast is a form of prostate support supplement that uses topically applied plasters to administer their nutrients instead of orally ingested capsules or tablets. These plasters are applied to the navel and deliver ingredients more directly to the bloodstream, which their promotional materials say is more efficient method of absorption. They also say that it is effective for helping men improve their urological functions and reduce the symptoms of conditions like chronic prostatitis (CP) and benign prostate hyperplasia (BPH). They further claim that it can have additional benefits such as enhanced sexual performance, improved mood, and increased levels of energy. 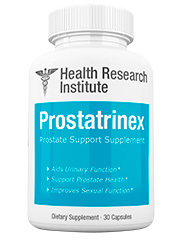 The prostate health product that our team has given the highest rating to is called Prostatrinex. It is a daily nutritional supplement that is taken orally and has our experts’ top ranked ingredients profile. To find more information about Prostatrinex, their ingredients, or their manufacturing process, just follow this link. ProstaPlast uses a somewhat unique ingredients blend that is based off of ingredients that are popular in Traditional Chinese Medicine (TCM). They ignore more typical prostate health supplement ingredients such as saw palmetto, pygeum, or any basic vitamins or minerals, an instead use a blend of herbal ingredients that have far less clinical data available to support either their effectiveness or even their overall safety. The ingredient that they promote the most heavily is called bars camphor, or borneol. Camphor products are common ingredients in topical health and wellness aids as it is easily absorbed into the skin and has a distinct cooling sensation when applied. Camphor can have some anesthetic and analgesic qualities and is used most frequently to treat sprains and inflammation. It is not thought to have any sort of uses for improving prostate health directly, however it has been shown to increase the amount of urine that men excrete, so it may have some minor urological benefits. There is very little data to prove the benefit of those effects however, and in this instance it is probably being used to help with the absorption of other ingredients. It is also often times used in topical products to give users the sensation that the product is working, even if that feeling is unrelated to what the product is actually being used for. There are quite a few ingredients in ProstaPlast that have been associated with anti-inflammatory effects, such as plantago asiatica, cyathula officinalis, achyranthes bidentate, and ligusticum striatum. These may be effective for helping to reduce prostate size in cases where the enlargement is a result of inflammatory swelling, however in most other cases these effects will not be particularly beneficial for prostate or bladder function. 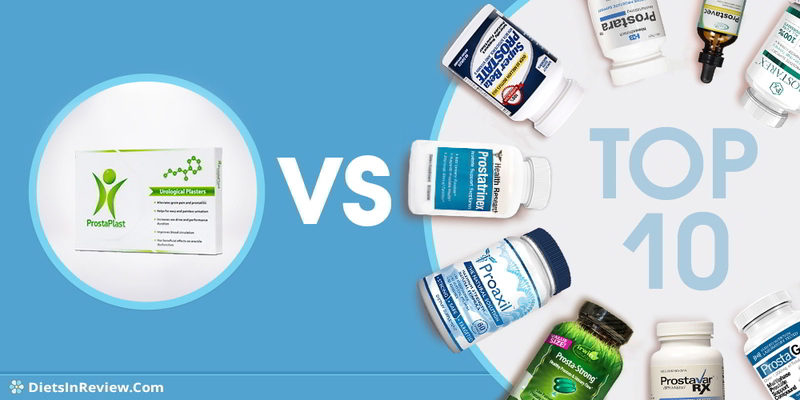 Click here to see the top ten brands of prostate health supplements from this past year. The clearest possible benefit for users with prostate swelling that ProstaPlast offers is a reduction of inflammation levels. It may also increase the quantity of urine that men produce, which may or may not actually be beneficial to men that are already experiencing issues with bladder overactivity. It does not have any ingredients that have demonstrated that they can directly affect prostate size in any way. This severely limits its effectiveness and puts ProstaPlast far behind the vast majority of over the counter prostate health products in terms of its ability to provide any sort of significant long term benefits. Another factor that limits its usefulness is the total lack of basic vitamins, essential trace elements, and amino acids. Herbal ingredients can be extremely helpful counteracting the symptoms of some prostate conditions, however the most effective products do not simply focus on providing symptom relief but they also tend to provide the type of basic nutritional support that can prevent prostate issues from arising in the first place. There is very little clinical evidence that supports most of the fundamental beliefs of TCM, however for those that do put stock in those methods, the promotional materials for ProstaPlast say that it can help drain damp and direct blood and fire downward. Other benefits that they say their ingredients have include tonifying the liver and kidneys, balancing meridians, and expelling wind. Again, these actions are not thought to be biologically relevant according to most established scientific schools of thought. There is some possibility that these ingredients can have antioxidant and pain relieving properties, which can be beneficial for men with prostate issues, but our team of experts see very little reason to believe that ProstaPlast can have a significant impact on prostate and urinary health and wellness. Follow this link to see which brands of prostate health supplements provide the best core nutrition and glandular support. Are There Side Effects of ProstaPlast? Our team has some significant side effects concerns related to the ingredients in ProstaPlast. First, our team tends to prefer to recommend products that have long histories of laboratory testing that has established both their effectiveness and their safety in the short and the long term. Most of the ingredients in ProstaPlast are severely lacking in clinical safety data, which leaves open the possibility that any given user could have a negative reaction to it. More concerning, however, is the fact that ProstaPlast is a nutritional product that is designed to be used on a daily basis. Our team strongly cautions our readers against taking any substance that regularly if it has not been well established that doing so will not lead to conditions like system toxicity, organ damage, or even cancer. Despite the overall lack of testing, there are still a number of specific concerns that our users had about some of their ingredients, including camphor. While camphor is generally harmless in small doses, it is a highly toxic chemical that can have serious consequences if too much is absorbed. The use of camphor products is strongly discouraged by the Food and Drug Administration in America, as well as several other international governing bodies or regulatory agencies. Their other ingredients are not as worrisome as camphor, however that may just be due to lack of data. Other potential risks that have previously been connected to their ingredients include the fact that corydalis has the potential to cause muscle spasms or tremors, achyranthes has been connected to heightened bleeding risks, and many of the herbs used in ProstaPlast can possibly cause gastro-intestinal issues like discomfort, diarrhea, and constipation. To learn how to pick the prostate health product that will be the most helpful for your specific needs, click here. There are very few sites that sell ProstaPlast that take American currency. It is available for purchase by American customers by using a brand of credit card that’s accepted internationally, however potential customers should be aware that most of the third-party retailers that carry ProstaPlast are not vetted by our review team and it is not known if they are secure and reliable or not. ProstaPlast may change their prices at any time, and international currency exchange rates fluctuate constantly, so users should note that these prices are approximate values and not fixed rates. Despite this, ProstaPlast has consistently shown to be one of the more expensive prostate products on the market. Interested customers should also note that each plaster is used for approximately three days, so each box of 5 plasters is approximately 15 days’ worth of product. 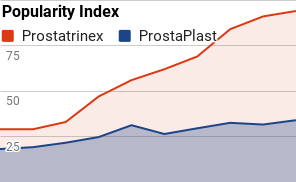 This means that even at its lowest price point, ProstaPlast costs far more on a per-day basis than the majority of other prostate health supplements, despite its lack of effective ingredients. For more reviews of the top prostate health products, follow this link. ProstaPlast does not meet any of our team’s significant criterion for recommendation. It does not have a scientifically supported ingredients blend, its manufacturers do not have a history of producing trusted products, and it is far more expensive than the majority of other products in the same category. Our team of experts does not recommend any product that cannot furnish at least basic safety data about its ingredients, as that could be potentially risky for the health of some of our readers. Our panel of health and wellness experts strongly encourage our readers to seek alternative options to ProstaPlast. One supplement that they have analyzed that has a far more effective ingredients blend is Prostatrinex. Instead of untested additives that are used for scientifically unproven effects it features the amino acids, essential trace elements, and basic vitamins that biological science has shown the prostate uses on a day-to-day basis. The herbs that they use in their blend all have significant data that has demonstrated their effectiveness for prostate health and urological function. 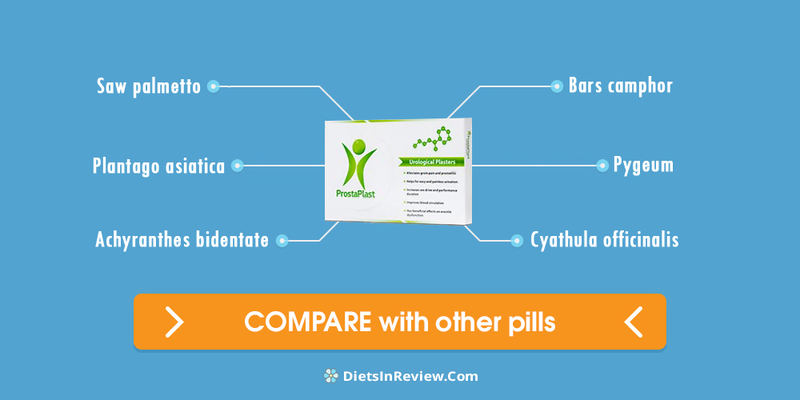 Click here to see all of the supplement facts for Prostatrinex. I bought protaplast for my dad after using it for 2 weeks, he is complaining of weak muscle, vomiting,nausea what should he do? should he stop using the product?